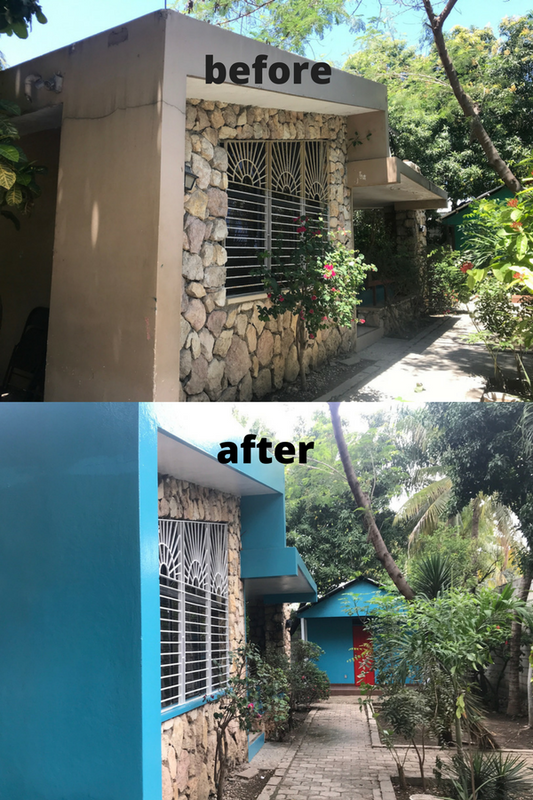 When we first moved to Haiti more than 12 years ago, we were totally naive and unaware, like most folks are when they change cultures and countries. We were not an exception to this norm, and it put us in a position to learn … a whole lot. It is never that people plan (well, I hope not) to do unkind or ignorant things, it is simply that good intentions often fall short. Intending good does not necessarily equal doing good. In our time here we have watched and been a part of many cringe-worthy situations – you know the ones I mean. We have observed and/or participated in things that later made us have shame, grief, and perhaps a very large tummy ache. I will spare you the painful examples today and try to get to the punchline. 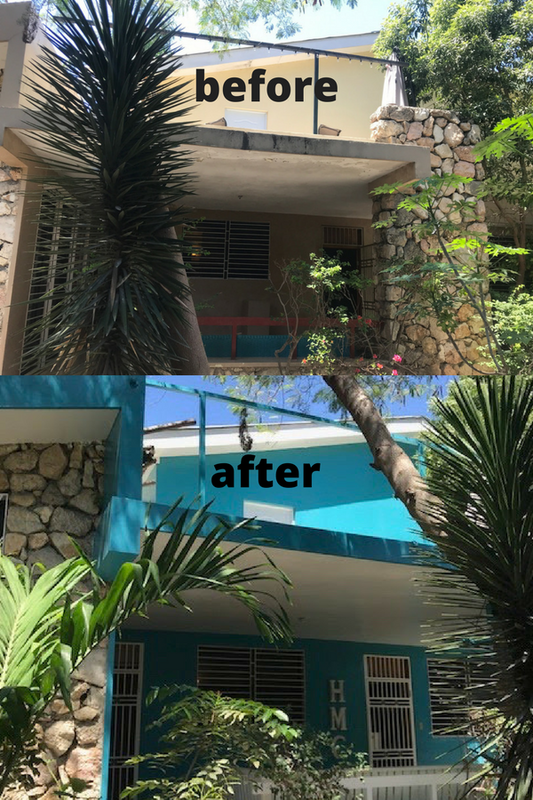 Our philosophy about serving/working cross-culturally and missions has changed a ton due to what we have experienced in the Haiti School of Hard Knocks. When it has been within our control, Troy and I have chosen to hire local labor to complete projects – instead of short term missions groups. Groups can come tour and say hi (we love that!) but we really don’t want visitors to take jobs from anyone. If the job you are offering to do can be done by a Haitian, we want to give them that opportunity. As Directors of Heartline, we are committed to employing local crews whenever it is possible. On occasion, we run into situations where the local laborer won’t be able to do exactly what we hope to do. This is usually due to construction practices or materials and skill-set available. However, for the vast majority of projects, we desire and prefer to provide jobs to laborers in the local economy. 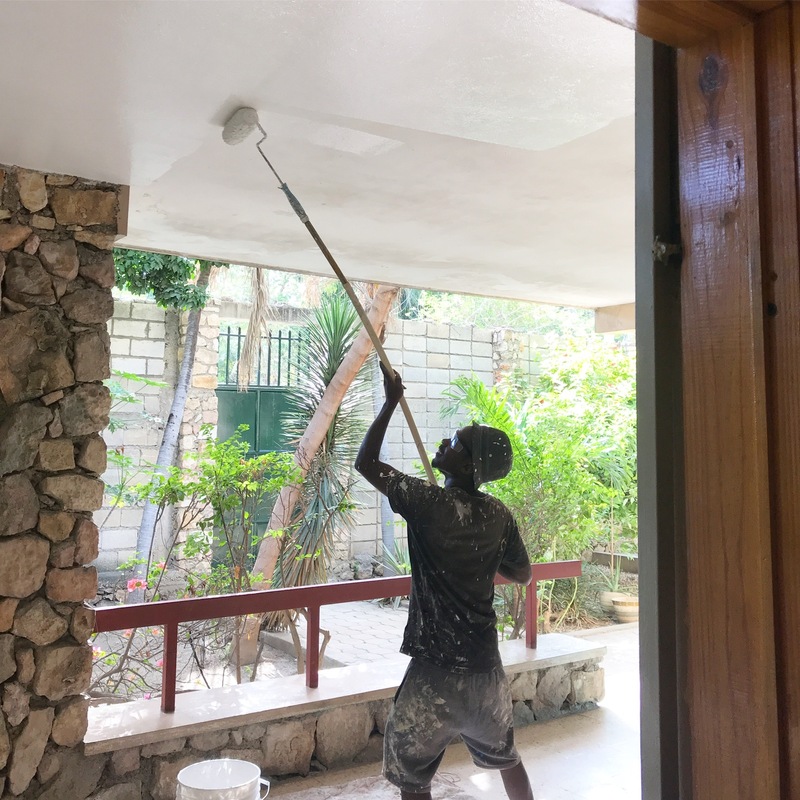 In our minds, Heartline Ministries does not only offer maternal health care and programs to strengthen Haitian families – we also employ talented and hard working Haitians who want to work. The Maternity Center currently employs 12 beautiful souls full-time. Across Heartline’s programs, more than 40 Haitians are steadily employed. 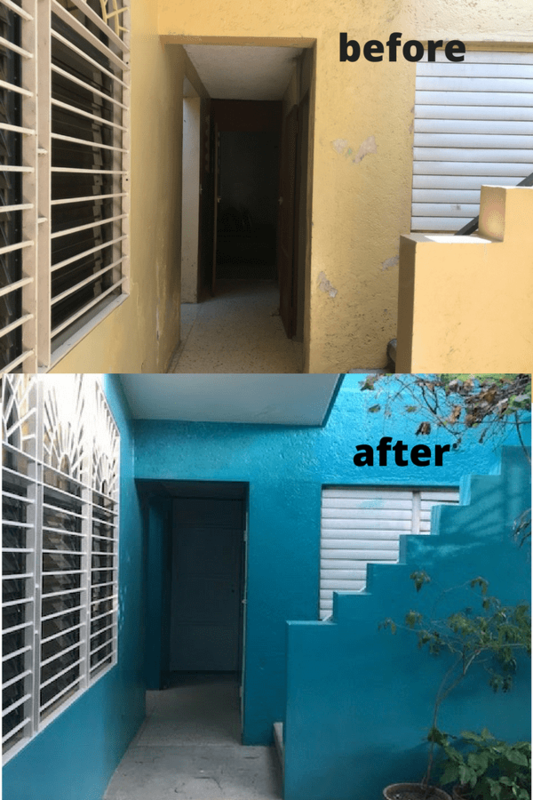 Recently, long-time donors and friends of Heartline Ministries wrote to say that years back they had come to Haiti and worked on a few projects. They wondered about coming again in 2018 to help with whatever was needed. We took a risk and told them the truth of what was needed. 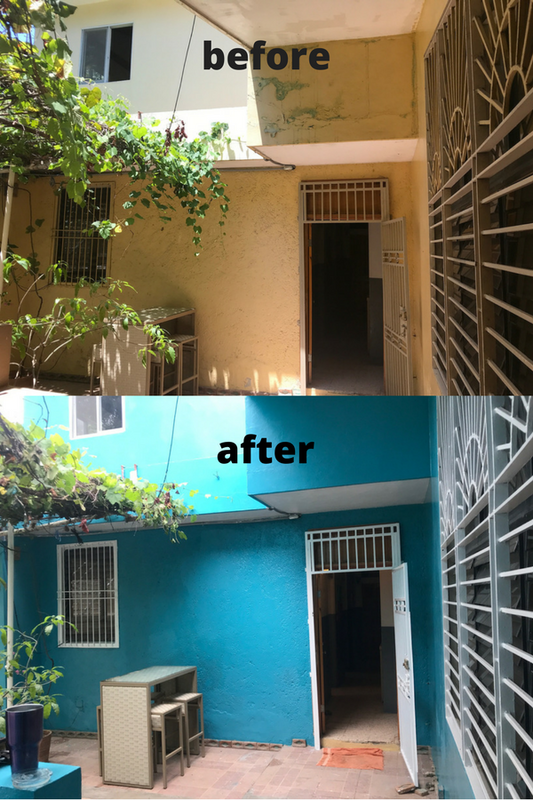 We shared that the outside of the Maternity Center was in rough shape and was painted two or three different colors. We went on to tell this couple that the project was a big one – but more importantly, it was one that could provide jobs. These donors heard us, trusted us, and were thrilled to give jobs to people who need jobs. Rather than buy airline tickets to come paint for us, they donated that money to Heartline and allowed us to hire a local painting crew! Samuel the painter and his crew worked for six days and transformed our peeling and unmatched building into something quite snazzy! They completed the job and walked away with a fair wage and huge smiles. 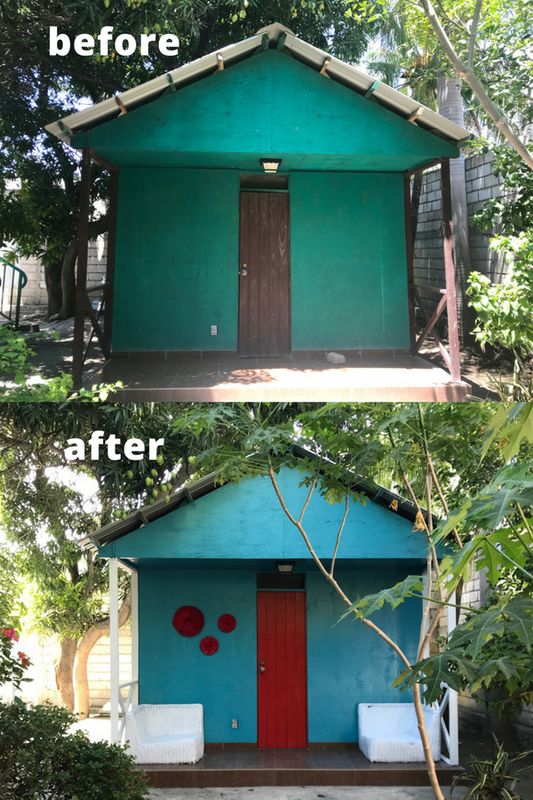 More than simply showing you Samuel and his crew’s excellent work, and the beautifully re-painted MC, I would like to encourage you to ask and consider how we can all do better when considering a short term mission trip. Can the work you might be doing while you visit provide a job for someone? Wouldn’t it feel great to give a materially poor mom or dad the opportunity to earn an income to support their family? I especially want to thank our friends that gave for this project. Thank you for trusting what we shared and hiring local labor. Your gift is not only putting smiles on the faces of many women who come to the MC for care – but also provided meaningful employment for Samuel and other Haitian men who are now able to better provide for their families. This was a huge encouragement and gift to us all. Wow – Thank you Tara. I was, actually, just looking at the Heartline Website to see when I could come down and volunteer! I have been looking for somewhere to travel to, somewhere to volunteer while I got to explore the world. 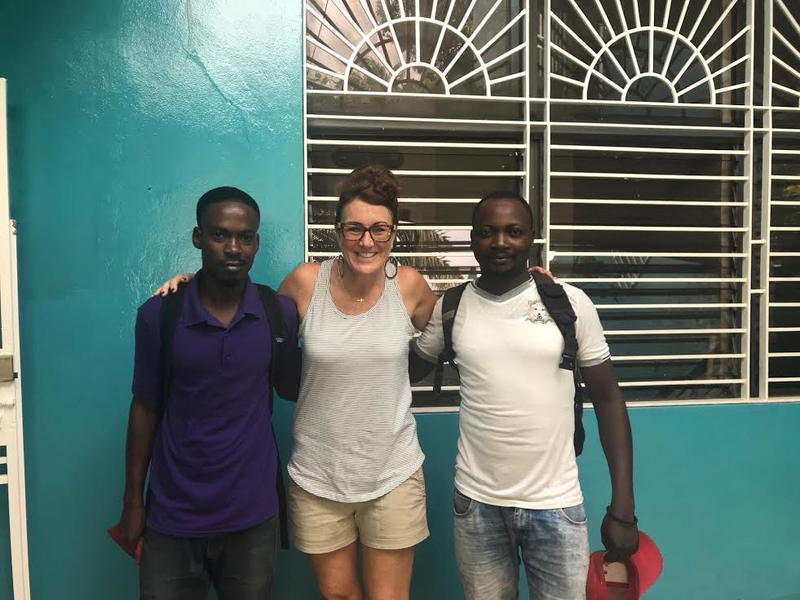 I thought that using my birthday trip to serve (somewhere far and adventurous, of course) showed that I was being “a good Christian.” God kept calling me to Haiti. I have been to the maternity center and bakery, and helped to build, paint, dig, and rewire. I “wanted” to go someplace new. God kept calling me to Haiti. To Heartline. And now I clearly see why! It’s not about what I want. And it’s certainly not about me traveling! Thank you for putting it so plain and clear. For my birthday, we will be sending Heartline support in the form of a check to truly help the local people. I am still going to look for a mission trip, but this time I’m going to focus more on what God’s people need, not what I want. God bless you – and keep up the Good work! Christine, thank you for your kind words and thoughtful response. Some of our staff was messaging about your comment today and I just wanted you to know that your words came as a huge encouragement to all of us. It means a lot and we appreciate you! THIs is beautiful! I had the opportunity to visit Haiti last year and will be returning in the fall for a women’s conference. We see the need and fully believe in what you are doing. It’s one thing to show them how to do it. But to teach and empower them, they can change lives, all while learning the Gospel. Praying for y’all! Thank you Lisa! We appreciate you and love your commitment to empowering others!